When renovating your home on a budget, it can be difficult to make decisions on how to spend your money — that is, which areas you should save or splurge on. 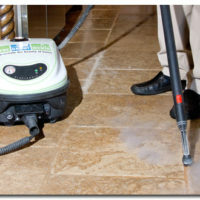 Often it is much cheaper and more budget-friendly to restore or re-grout the current grout in your home. If you struggle with home improvement and DIY projects, you’ll want to contact a professional tile and grout cleaning company like The Grout Medic to make sure the job is done right. The following will discuss the benefits of restoring your current tile grout vs. the advantages of completely regrouting. Although both options are cost effective when you’re doing home improvements on a budget, one option may be better for your specific grout situation. If you are improving your home, then you may want to start with dirty or old grout. But how do you know if your current grout is bad enough to completely re-grout it? 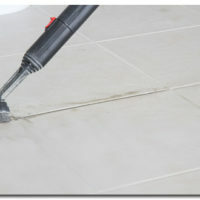 If your current grout is cracked or chipped , then you will need to take it out and regrout it. If your grout has little chunks coming loose, then it will need to be replaced. Regrouting can be a very difficult and daunting task for someone who has little-to-no grout experience. You may need to bring in an expert like The Grout Medic to make sure that, when you re-grout, it will look beautiful and last for a long time. The other option for making your grout look like new again is to restore your current grout to its original glory. If your current grout looks a little dirty or tired, then restoring your grout may be the option for you. Restoring grout can sometimes be a cheaper option than regrouting, but if you decide to do it yourself, then it will require a lot of time and elbow grease. You will need to go in and scrub all of your grout with a tile/grout cleaning product, and there’s no guarantee that the grout will clean using just cleaner alone. 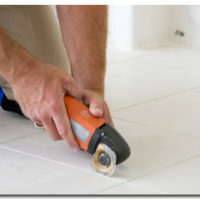 A professional will be able to help with restoring your grout and color sealing it to ensure that the color won’t fade. If you’re considering regrouting or restoring your grout, you need to call the professionals at The Grout Medic. Their technicans have years of experience replacing the grout on countertops, bathrooms, and showers, and they’ll be sure to deliver the quality work that you desire. Contact The Grout Medic to schedule a consultation.